Home / house / Bourbon ROCKS! BACK IN STOCK 4/11 So for those of us who have friends that are avid bourbon drinkers (I think all of mine are), and never know what to give them as a gift….well, we’ve finally figured it out. These are our new “Bourbon Rocks”! Made of soapstone in Vermont, these are the perfect way to keep your alcohol cool/cold, without having the ice delute it. The box says it simply enough with “Ice Melts. 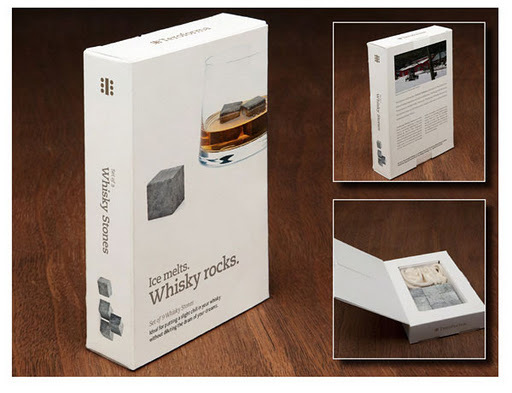 Whisky Rocks. 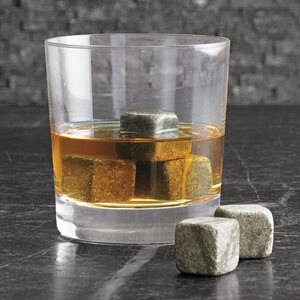 Ideal for putting a slight chill in your whisky without diluting the dram of your dreams.” The set includes 9 stones (only 3 are suggested per drink) and a small pouch to store them in the freezer! The stones are non-porous, and will impart neither flavor nor odor. They will not react with household solvents such as water, alcohols, detergents, or mild acids. The soapstone is composed primarily of talc, hence the rocks will not scatch your glasses! We think these things rock….no pun intended! They are available in the store (located 1535 Delaware Ave, Lexington, KY 40505) for $19.95 OR you can purchase them at our online store, you can get there by clicking here!